Translucent Semi Precious Stones for sale, translucent stone like sodalite,onyx-, through the illumination of the lights, it will become very noble and beautiful just as a draw hanging on the wall. 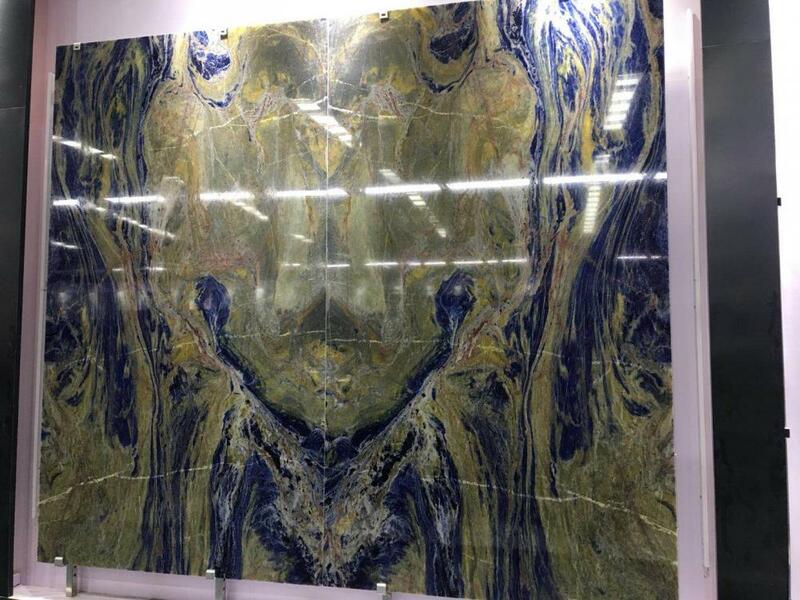 blue sodalite big whole slab thickness is 0.5cm(one whole piece) laminated with 1.5cm plastic acrylic/honeycomb ,the translucent stone used in floor slabs, house background decoration ,and also design for lampshade, translucent panels are also often used in hotel renovations, transparent background. where is sodalite found ? Sodalite is a member of the sodalite group with hauyne, nosean, lazurite and tugtupite. First discovered by Europeans in 1811 in the Ilimaussaq intrusive complex in Greenland, sodalite did not become important as an ornamental stone until 1891 when vast deposits of fine material were discovered in Ontario, Canada. quarry blocks(big or small block,max weight of the big block can be 22 tons). 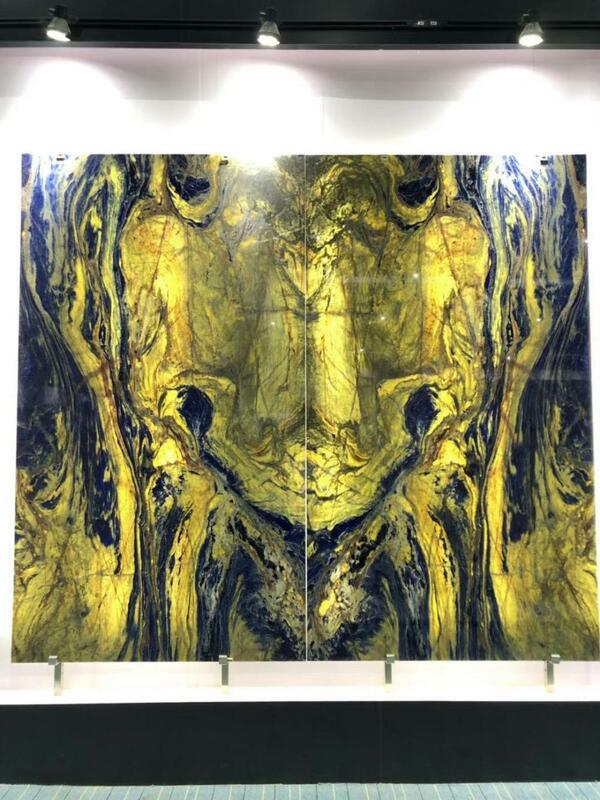 2.slabs(translucent or no translucent),big whole slab with 1.8-1.9cm thickness; laminated slab from small pcs of tiles. Looking for ideal Translucent Stone Used in Floor Slabs Manufacturer & supplier ? We have a wide selection at great prices to help you get creative. All the Translucent Stone are quality guaranteed. We are China Origin Factory of Transparent Background. If you have any question, please feel free to contact us.